Stand for the Silent was started in 2010 by a group of high school students in Oklahoma City, OK, after they heard the story of Kirk and Laura Smalley’s son, Ty Field- Smalley. 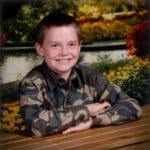 At eleven years old, Ty took his own life after being suspended from school for retaliating against a bully that had been bullying him for over two years. Stand for the Silent exists as a platform to allow Kirk and Laura to share their story, and offer education and tools that will prevent their tragedy from happening to another child and family. Kirk and Laura’s mission is to continue to change kids’ lives and bring awareness to bullying and the real devastation it causes. Since May 2010, Kirk and Laura Smalley have traveled to over 1,000 schools and spoken with over 1,000,000 kids! In March 2010, Kirk and Laura met privately with President Obama and First Lady Michelle Obama in The White House prior to attending the first ever White House conference on bullying. The Stand For The Silent (SFTS) program addresses the issue of school bullying with an engaging, factual, and emotional methodology. With the help of student leaders, Kirk Smalley presents his inspirational story, and students are shown first-hand the life and death consequences of bullying. Through this unique approach, lives are changed for the better. Students, some for the first time, develop an empathetic awareness through education and understanding.